KLCC or the Kuala Lumpur City Center is a prominent site situated in the heart of Kuala Lumpur. Housed within the KLCC complex, are some of the city’s most well-known attractions like the towering Petronas Twin Towers, the luxe Suria KLCC mall, the Dewan Filharmonik Petronas (Petronas Philharmonic Hall), the Petrosains Discovery Centre and so forth. 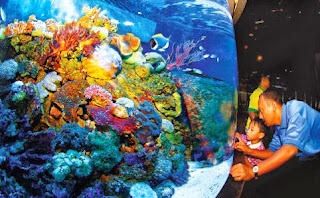 A relatively recent addition to the site’s attractions is a world-class aquarium, the Aquaria KLCC which showcases much marine life from Malaysia and other countries around the world. The Aquaria KLCC is a fairly large structure, which was designed and constructed by a New Zealand firm, Marinescape Ltd, a well-known aquarium design specialist. The expansive f Aquaria KLCC extends over 60,000 square feet at the concourse level of the Kuala Lumpur Convention Center. The aquatic museum has displays of more than 5000 aquatic and semi-aquatic marine creatures arranged in various themed areas like the Touch Pool, the Electric Zone, the Stream, the Highlands, the Jewels of the Jungle, the Flooded Forest, the Coast, the Oceanarium, Weird and Wonderful, the Discovery Zone and others. The exhibits at Aquaria KLCC include some rarely-seen, spectacular marine creatures who normally reside at the bottom of the oceans like green sea turtles, sand tiger sharks, giant pacific octopoi, giant water rats and groupers and more. The inhabitants of the aquarium are not exclusively Malaysian but are sourced from countries as far away as South America, Africa and more. The various themed areas of the aquarium are arranged in a manner so as to transport viewers on a journey traversing the world’s oceans. Some prominent attractions of the Aquaria KLCC include the Oceanarium, an area which hosts a 90 meter long underwater tunnel affording viewings of creatures like sharks, giant sting rays and green sea turtles at close quarters. Another popular attraction at the aquarium is the Touch pool area, often referred to as the Aquaria’s petting zoo where visitors can closely interact with aquatic creatures like bamboo sharks, horse shoe crabs, horned starfish and many more. 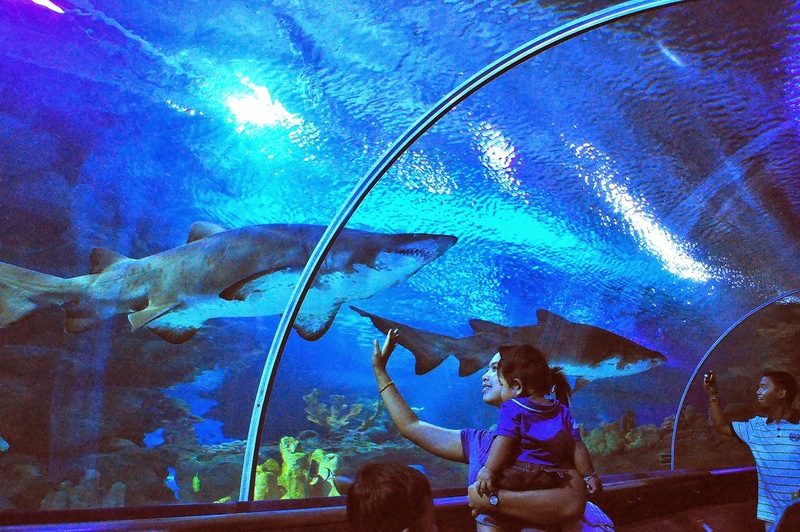 The aquarium’s feeding sessions are also a popular draw and visitors are encouraged to get information about the aquarium’s feeding times its website, so they can plan their visits accordingly. At these feeding sessions, visitors are greeted by a fascinating sight as creatures like sharks, turtles and eels assemble to receive their feed. 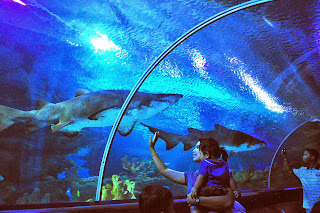 The Aquaria KLCC is open daily. On weekdays, the facility is open from 11am until 8pm, though it stays open for extended hours on weekends and public holidays.